Empty Nest: Follow Friday, 40 and Over and Thank You Java and Merry Christmas! Follow Friday, 40 and Over and Thank You Java and Merry Christmas! Isn't it absolutely PERFECT?! (At first I thought: Awww..that poor mama and daddy bird and then I realized- That's exactly how we felt [see the hanky in the mama bird's wing?]! You wave them off and wish them the best all the while hoping that you've done your 'job' well and then spend the next 25 years missing them!) Thank you so much Java! I LOVE IT! Here are a few of the ones that show some of the interests and/or activities of our daughters. 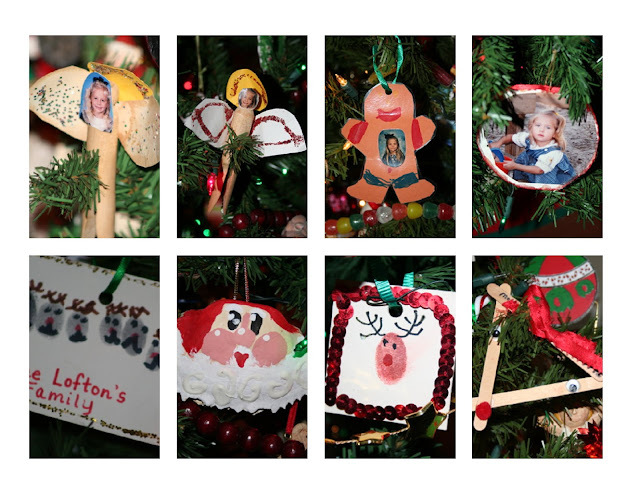 These are some of the ones the girls made while growing up--which are, of course, my favorites. These are just some random ones. The first one represents the college that my mother, me and Deanie all attended. Next is an example of the ones we have for each grandparent and great grandparent who has passed away...unfortunately, we will be adding another one this year for Hubs' mother. Then, my favorite cartoon character and the jingle bell-- I LOVE jingle bells and one year DoodleBug and Birdie gave me 15 different bells--this is one of them. These are some of the ornaments I have from my grandmother's collection. 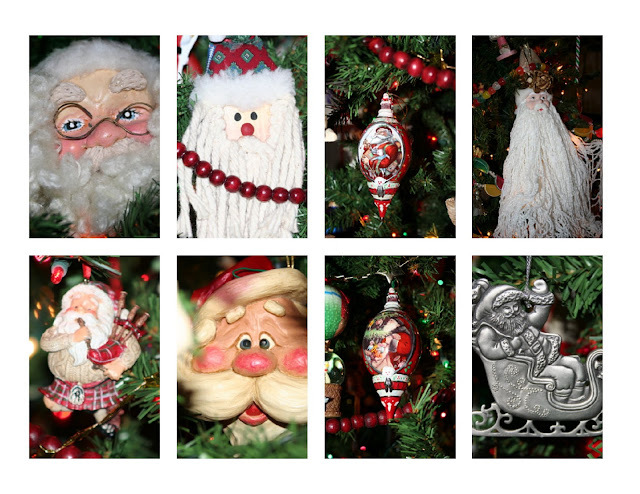 These are a mere smathering of the Santa ornaments. Santa is THE MAN around here! From our family to yours- WE WISH YOU A VERY, MERRY CHRISTMAS! Visiting from Java's! We moved "home" after living in SC for 9 years. Love the area where you live! Pam I was at Java's and saw your button...it's just perfect. I'm so glad you have featured today - you truly deserve it. As always I love visiting you..and yes us empty nesters know the pain of the empty nest :)Have a wonderful, wonderful, time with your family. My sincerest wishes to you all and I'll be posting on the 25th since I'm here. and do the same! Happy Holidays! 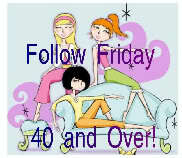 Congrats on being featured at Follow Friday 40 and Over! 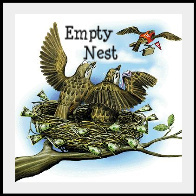 I definitely can relate to the empty nest feelings! But isn't Christmas wonderful when we can all be together again?!! 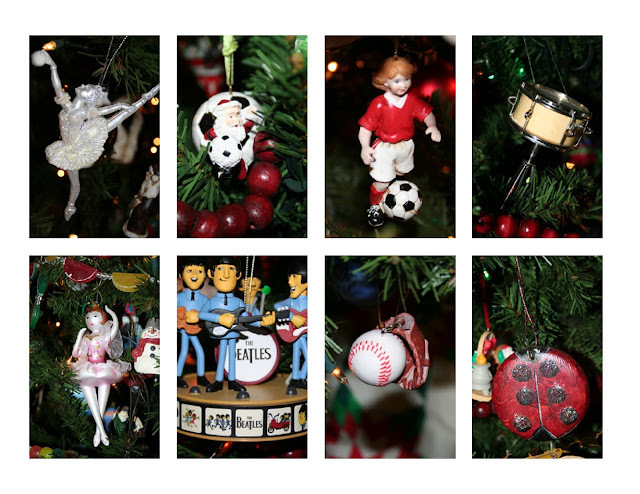 Love the ornaments - I think we have the same ballerina one! My daughter, the dancer, always received and loved ballerinas of all types as gifts. Congrats on the #2 spot!! Just love your new button. 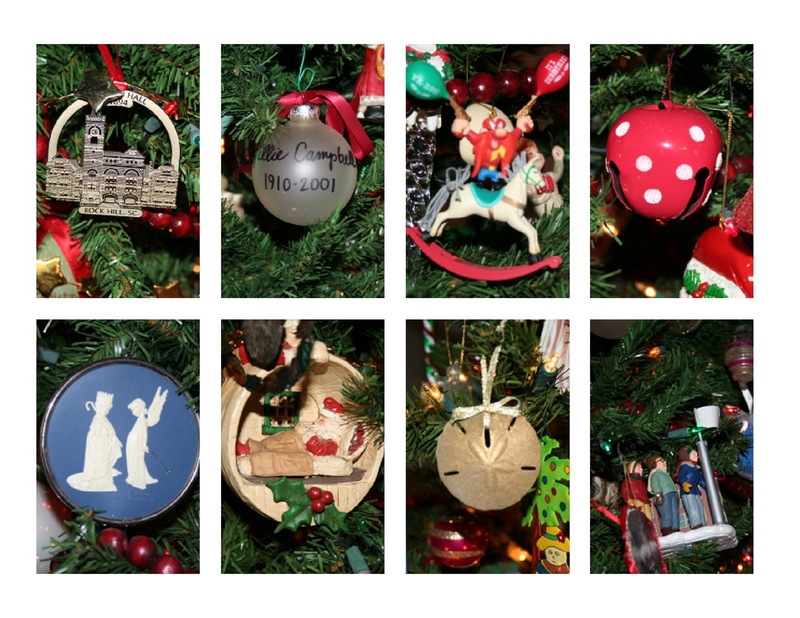 Your ornaments are beautiful...I also collect ornaments since the first year we were married, we have been given a Hallmark dated ornament and this year we will have 29!! Merry Christmas ~ Hope Santaman brings you everything on your list! Merry Christmas! I'm an old follower wandering through from Java's follow! Thank you for sharing pics of your ornaments! Isn't it wonderful to have all those memories on your tree? I tried to stay off the computer but I just had to link up with Java this morning. I love the button she made for you...too cute! 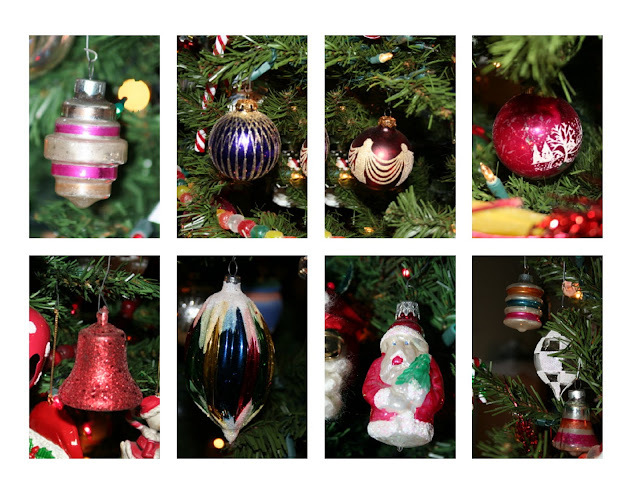 Your ornaments are beautiful, I bet you have a wonderful time, with lots of memories, decorating your tree each year! Oh and the button is beautiful! Great ornaments! We had a few soccer ones throughout the years ... but the girls have taken theirs for their own trees now so we're soccer ball-less on the tree. Wishing you and yours a very merry Christmas filled with bountiful blessings! Enjoy the time with your delightful family! I tried to stay away from the computer today too, but it's just not working! I miss all of you too much when I do that! One more HUGE MERRY CHRISTMAS TO YOU ALL! And I promise to get to each and every blog to visit and comment ASAP!!! I love the new button. So cool. It's been awhile since I've done the Java 40 and Over Blog hop. I think a good idea next week. Take care and have a blesse Christmas. Oh by the way, I love the ornaments. So beautiful looking.